What is Complex Trauma and how is it connected to other emotional problems? Most therapists recognize the existence of a “thing” that might be called Complex Trauma. We are pretty sure it exists. We see clients with it all the time. Only it looks different in different people. Sometimes it looks like a stress disorder, sometimes it looks more like Post Traumatic Stress Disorder (PTSD) other times it looks a lot like depression or anxiety. We, professionals, are just not sure what to call this thing and worse yet we are not all sure how to treat it. This confusion is aggravated by the problem that there is was no diagnosis for this thing, this complex trauma monster, in the DSM-4. Worse yet, even with the increased attention to stress caused disorders in the new DSM-5 Complex trauma did not make the new book either. The result is that we have a disorder that we all see in our clients but it looks different in different light and we give it different names depending on who has this issue. This problem, this idea that multiple, complex trauma is different from single trauma and that the results of multiple traumas are not a case of two plus two equaling four is not new. With complex trauma two plus two maybe six or even seven. We know this from reading books and articles on zoology. Humans are not the only creatures who suffer more from repeated traumatization. Other creatures can recover from a single large trauma but when subjected to repeated traumas they lose the ability to adjust. Let me attempt to explain this problem by using a far-fetched analogy. Complex Trauma is kind of like a hurricane or monsoon. Most of us know what a hurricane is, sort of. The wind blows really hard. It damages things and knocks things down. A tree may blow over and smash your roof or the wind may break some windows and blow over some things breaking them. But that is not all. With the wind comes a lot of rain. The rain fills up creeks and small rivers and then they overflow. Your house may get flooded. That tree may miss your house when it falls and hit a power pole. That pole may start a fire and your house could burn down. If you live near the coast the tide from the ocean may become a tide surge and sweep your home away. All of these things are the consequences of the hurricane, but the effect on you and the way your insurance company sees things may be very different depending on whether your house is damaged by a falling tree, flooded, swept away by the tide or burns due to a falling power line. Complex trauma is a lot like that. Different people are affected differently. Some get depressed, some get anxious, some people dissociate and others think of harming themselves or others. All of these possibilities and more are the result of the stress or trauma but each person experiences them slightly differently and they all may get different diagnoses. A different diagnosis may result in different treatment which means some people are way more responsive to a particular treatment. We used to think that there were a discrete number of mental illnesses, two, neurosis or psychoses. Then a hundred or so and in the DSM-4 about 400. Now we are thinking that if we keep splitting up these problems of living we are going to end up with one diagnosis per person. So we are trying to think more in terms of a continuum. Some people are only a tiny bit depressed occasionally and others are major depressed all the time. This variation in features is also impacting the way professionals see and respond to stress-related problems. Over the next few weeks as time and space permits, I want to talk more about complex trauma, how it develops and why it is sort of like PTSD, anxiety and other named disorders and why it is enough different from those other disorders that clinicians are developing specialized treatments for this issue. People can and do recover from complex trauma so stay tuned and we will talk about the steps to recovery from this misunderstood disorder. 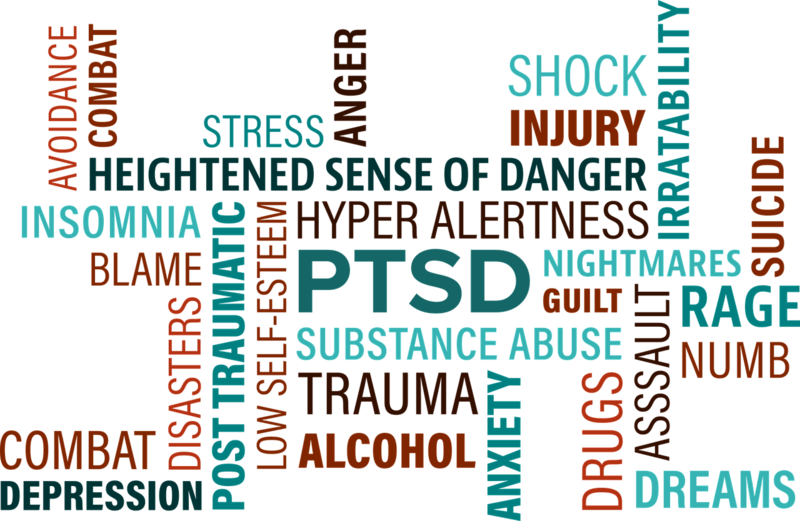 This entry was posted in PTSD & Stress, Trauma- and Stressor-Related Disorders and tagged Complex Trauma, Counseling, Depression, emotions feelings, Posttraumatic Stress Disorder, PTSD, Stress, Therapy by David Joel Miller. Bookmark the permalink. Complex PTSD has stuck parts when trauma was a whole childhood. Our brain/mind has not developed yet and the trauma is woven into our personalities. I have had or do have childhood C-PTSD and I. Hit bottom with a six month stint of agoraphobia in my dark garage. There are ways out but it took daily practice and mindfulness or meditation to integrate my childhood. Thanks for you comment and for letting others know that there are ways out. I just found your blog. Thank you for putting out such helpful information!